Finding Graphic Design in Guangzhou? We bring you smart, intelligent, affordable graphic design and branding services in Guangzhou city. Including Logo, Catalogo, Branding, Packaging, Business Card, Trade Show and Photography etc. and individual around Guangzhou and Shenzhen. from your company logo, business card, website, product catalogo and package design to attend trade show. 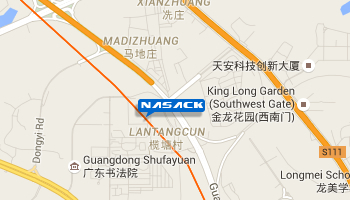 As a full-service designing marketing agency based in Guangzhou, China, Nasack have provide services for more than 300(most are import export trading) companies in the last 9 years. We help our client desgin logo, catalogue, package, make trading website and do expo stand design and print. We help our client desgin logo, catalogue, package, make trading website and do expo stand design and print. Good at graphic designing and express digital & offset printing. As business card, flyers, brochures, catalog, exhibition and other services. We providing custom, affordable, clean, beautiful and effective website design for company and organization in China and around the world. We offer digital traditional print. Whether you just need print your name card or you want 1000 pieces catalog for a exhibition. Our printing presses produce everything you need: business cards, forms and leaflets create the perfect impression for you. Our business email hosting solutions can help you create personalized email accounts based on your own domain. We can translate your product and service to China and all over the world. Take a look at our latest projects to see how successfully we have given our clients an online showcase for their business. You can also browse all projects .